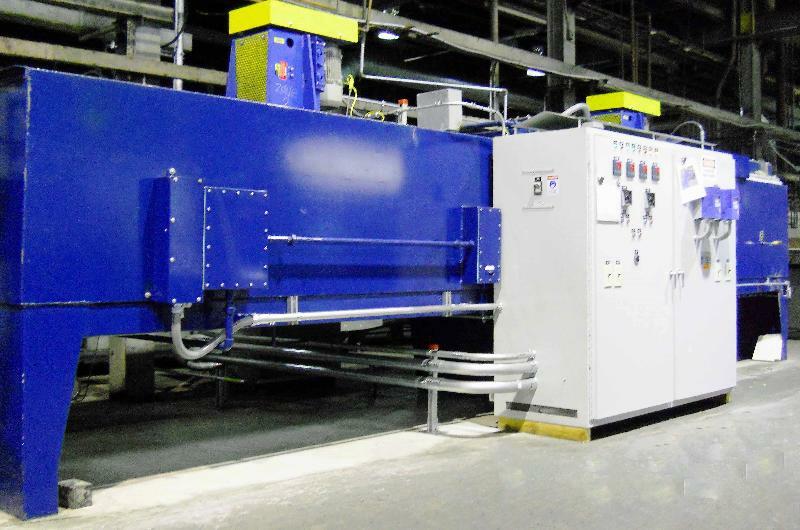 In development for over a full year, Blue Blade Steel proudly announces that installation is complete on a new temper furnace to their existing line. President and Owner, Jerry Shaw Sr., states that "early data already showing impressive results. Our continuous improvement philosophy has driven Blue Blade Steel to achieve unmatched consistency within our heat-treated strip. This acquisition achieves tighter hardness ranges than industry standards and this new technology moves us toward achieving our goals for quality, productivity and efficiency," he explains. For customers of Blue Blade Steel consistency is critical. When hardness varies customers may need to constantly monitor, or stop production to make adjustments. Blue Blade Steel evaluates the strip steel structure regularly and checks hardness on each coil. A consistent Rockwell value is an indication of a stable structure which ultimately means less adjustments and less surveillance of a coil in process for Blue Blade Steel's customers. "When we took to the drawing board in designing this furnace we needed to be certain that we were creating new technology that would achieve all of our goals and ultimately it needed to be an innovation for the entire industry" adds Jerry Shaw Sr. "The cost of manufacturing continues to rise in the U.S. and we need to remain on the cutting edge of technology for our customers in creating value and better steel that costs less for them to process."